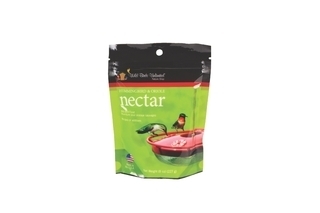 Our Wild Birds Unlimited Hummingbird and Oriole Nectar provides the high calories these active birds need. It contains no dyes or additives, is easy to mix and delivers wonderful results. Dissolve contents of pouch in 4 cups of water and then fill your feeders. Any leftover solution can be stored in your refrigerator up to one week for later use. Orioles eat many types of food. They crave citrus when they arrive in the spring, eating orange halves and grape jelly. Then they quickly turn to eating nectar, and then switch almost exclusively to insects after nesting. 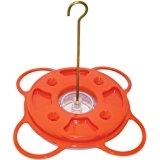 Our oriole feeder offers nectar with several feeding stations, includes jelly wells in the lid and a place for an orange half. It's easy to hang and dishwasher safe. It also comes with a lifetime guarantee. 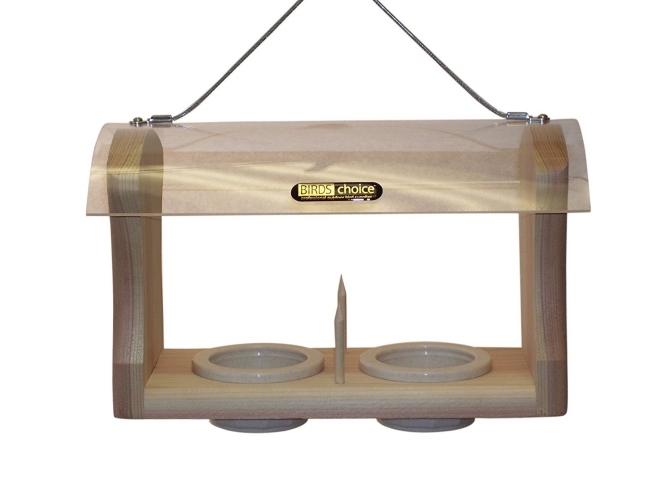 This fruit and jelly feeder is made from cedar and features a polycarbonate roof. 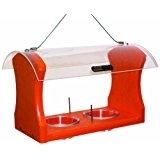 With two (2) large jelly dishes and two (2) stakes for orange halves it is sure to have your birds excited. 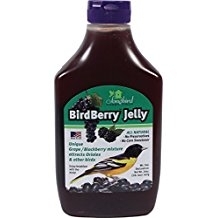 Use any brand of grape jelly or try our BirdBerry™ jelly and see what different species you can attract.